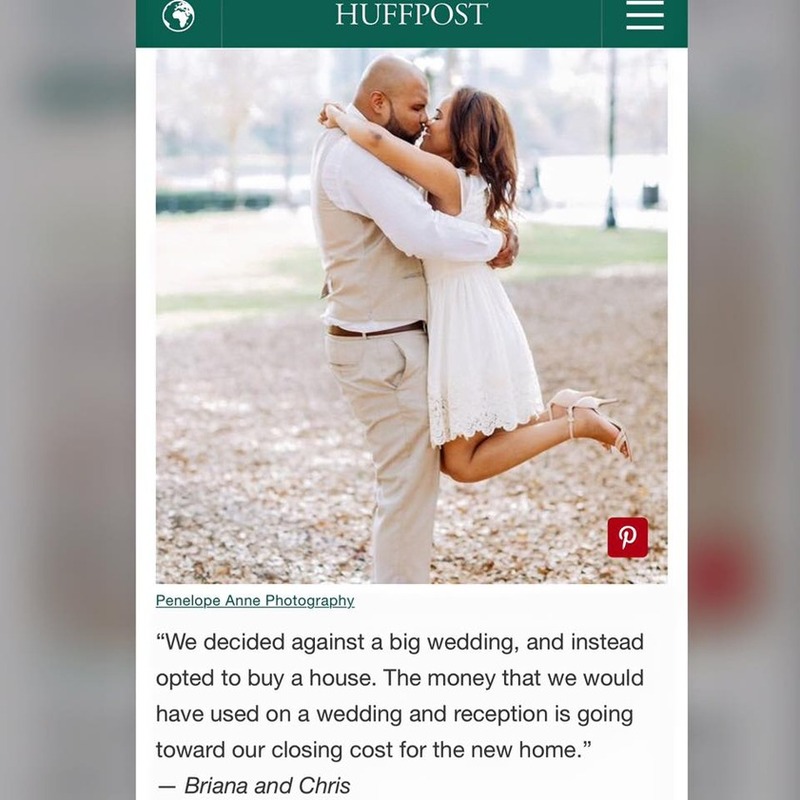 We’ve been featured on The Huffington Post! Seriously, how cool is that? The Huffington Post contacted me earlier this week, because they were interested in featuring one of my images from a recent elopement session in Downtown Orlando! Of course I immediately said HECK YES! The article basically discusses various reasons why a couple would choose to elope. I do portrait sessions for eloped couples all the time, and they are just as happy and excited as if they had a full blown wedding. The most important part about getting married, is that you are entering into sacred union with the love of your life. It always warms my heart to capture couples who are truly in love, regardless of how they decided to celebrate! Click here to see the full article in the Huff!